If anyone is going to remind you about tax season, it might as well be a pink flamingo. That’s the idea behind a new account on Instagram, run by the Internal Revenue Service, the much-feared US taxman. The account, launched Nov. 30, is full of candy-colored gifs and Insta-friendly animals educating people on tax-related issues. 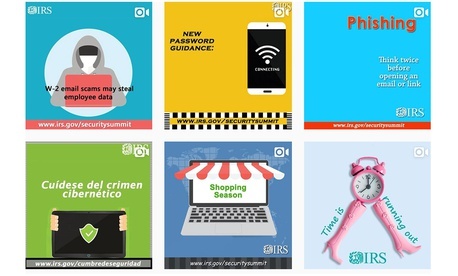 According to a release from the agency, the IRS Instagram will be informing taxpayers of the tax law changes related to the Trump administration’s tax cuts (previewed by a chameleon who wants you to #BeTaxReady) and warning them about online scams. It’s “part of a larger mission of helping all taxpayers understand and meet their tax responsibilities,” its statement said. The agency is trying to meet taxpayers where they are, the release suggested, citing statistics that the majority of young adults in the US are on Instagram.